Getting the right food is almost as important as the training itself. The more experienced you become, and as you begin to push the boundaries of your own genetics, this statement becomes all the more true. The Modern world is hectic and highly competitive. Many people are rushed off of their feet trying to make ends meet and achieve their life and career goals. This can make it extremely hard to provide full attention and dedication to serious hobbies, such as bodybuilding, and let’s face it, that’s a 24-hour pastime! Get adequate rest and nutrition to supplement the hard work done in the gym, and turn blood, sweat, and tears into optimum gains can be a juggling act verging on the impossible. Well, it comes down to one of the most simple and direct mottos known to man. 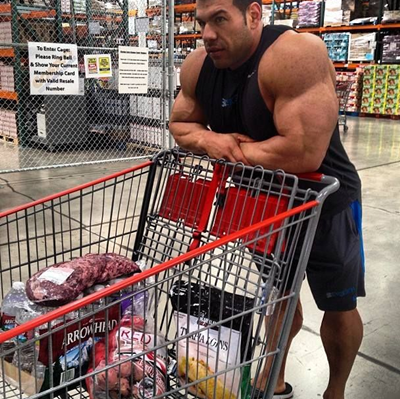 Preparation and routine are essential to successful bodybuilding in the modern world. Set a time to be in the gym, set a time to be out and on your way home. Set a bedtime, and engineer short nap times whenever possible. Then the final, and most time consuming, factor is adequate nutrition. Your optimum nutrition intake is best achieved with well planned and executed meal prep. 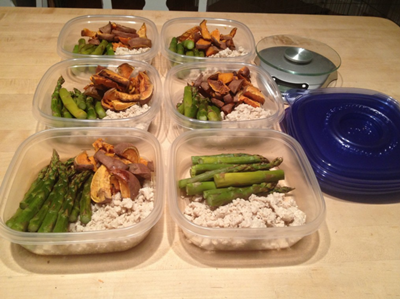 Meal prep is a standard addition to any serious, modern bodybuilder’s lifestyle. Put simply, it involves dividing your food intake into good sized, pre-prepared, scheduled portions, consumed wherever you are throughout your day. Set aside some time and focus your effort in one fell swoop, preparing everything you need, ready to go, and no excuse to give into badly timed, lazy, cheat meals. So, what’s involved? Back to basics now. Calories first. To calculate how many calories you need per day, do a few sums based on your body weight. This gives you a rough idea of how much food you need to eat, but it is not 100% accurate since everyone is different. You may need to tweak the final figure for optimum results without laying down excess fat. Know your weight in kilograms. If you are fairly lean, you can take this figure as is, if you are carrying a little excess baggage, multiply your weight in kilograms by 0.95. Now multiply this figure by 24 to give you your basal metabolic rate (BMR), the number of calories your body requires simply to function and maintain weight, without moving. For example, a 100kg man with less than 15% bodyfat would use the following calculation. You’ll need to adjust this figure to factor for your daily activities. If your job is not too strenuous, but you hit the gym regularly, multiply your BMR by 1.65. If you have a tough, manual job, this factor could be closer to 2. For example, if our 100kg man is a scaffolder by day, and trains hard most nights of the week. 2400 calories x 2 = 4800 calories per day to maintain weight, accounting for overall energy expenditure. Now you know your daily maintenance intake requirement. If you are aiming to bulk up right now, add 300-400 calories on top to support muscle growth. If your goal is fat loss, cut 500 calories from this for a one pound per week weight loss program. Now look at your macronutrient ratios (see image). For maintenance and bulking you need roughly 30% of your calories to come from quality protein, with the extra calories being heavy on the carbs. Obviously, for cutting fat, you need to lose a good proportion of your daily carb intake. Sheer Thermo Thermogenic Fat Burner helps accelerate fat burning potential by boosting your BMR. Each ingredient has been carefully selected, based on scientific research, to optimize the amount of energy your body burns at rest. If your goal is to burn fat, add it to your stack today. The bare minimum you will need access to are a reasonably well-equipped kitchen and some sealable plastic tubs. A large fridge-freezer is a plus , allowing you 20 or more pre-prepared meals, depending on your lifestyle and diet. The minimum cooking skills are required, but a little extra knowledge and culinary flare goes a long way ensuring everything proceeds according to plan and providing some variety in your weekly nutrition regime. Large pans are great for cooking in bulk. Do you want to cook up six lots of 5 boiled eggs (or 30 at once? 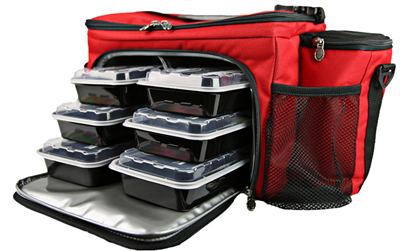 A large cool box or bag like the one pictured is a great way to keep your meals tidy, fresh, and easily portable. With space for a day’s boxed meals and snacks, many also come with space for protein shakers and other supplements, as well as cutlery and other useful items. This is definitely a great investment that can make your life a great deal easier. A slow cooker helps create super tasty and tender meals with very little effort. Simply add your ingredients to the pot and let it work some magic. The low temperature of the slow cooker cooks food gently, without denaturing too many proteins or valuable vitamins and minerals. You can also use far cheaper cuts of meat as the cooker tenderizes even the chewiest steak if left long enough. Pick a day and time fitting your schedule when you can dedicate to meal prep, and stick to it. Many people get their meal prep done on a Sunday evening, meaning they have good fresh food throughout the week, and it doesn’t interfere with their weekend activities. If you can dedicate two slots per week to cooking up the building blocks of your efforts, all the better, fresher food all round. Unless you’re a culinary genius, it’s best to stick with the tried and tested staple muscle foods. Rice, pasta, potatoes, quinoa, couscous, and other easy to prepare carb sources keep you full of energy. All the top protein-rich foods are regulars on the food prep scene. You can’t go wrong with chicken, beef, turkey, fish, and boiled eggs. Steamed vegetables or fruit salad provide all of the fruit and veg goodness your body needs. Don’t forget the good fats- seeds, nuts, peanut butter, oily fish, and healthy oils need to make an appearance. This is where you use your imagination and mix it up a little. Nobody wants to eat the same old bland foods every day. That’s a recipe for unwanted cheat meals to sneak into the plan. Keep your spice rack well stocked with flavorsome herbs, spices, and other condiments, and remember fresh here is also better. Learn what flavors work with what dishes, don’t be afraid to experiment. A great way to mix up flavors is to line your baking tray or dish with foil and crimp it up to create separate compartments, each containing a different blend of ingredients. You can also freeze fresh herbs and spices in a small amount of olive (or other healthy) oil in a small ice cube tray, then once they are frozen, dump them into a plastic bag. You can grab one or two cubes to add to the slow cooker, soups, stews, or other such meals. Do you often bypass those cheap cuts in the supermarket, such as kidneys and liver? Give them a go! They can add serious flavor to your meals, as well as top quality proteins and other nutrients. If Sunday evening is your meal prep time, why not turn Sunday afternoon into your weekly shopping trip. There’s no point trying to scrape together a week’s worth of meals with barely anything in the cupboards; make sure you stock up, so you have plenty of choices. Never shop on an empty stomach! Strange items have a habit of finding their way into your basket! Whizz up some ultra nutritious smoothies and pour them into ice cube trays or ice cream molds to be frozen. These can then be defrosted and enjoyed or added to fresh smoothies at a later date to keep them cold throughout the day. But, remember smoothies without milk and on their own actually provide a huge amount of instant sugar. Eat other more complex foods with them to even this out. Chop your meat, slide it onto kebab skewers, marinade with deliciousness, and pop them in the oven. This helps to even out portion sizes, allows you to experiment with flavors, and keeps everything neat and tidy. So now you’re ready to get going. Get your meal prep regime down and reap the rewards by having nutritious meals ready to go, and no excuse for those dreaded midweek cheat meals! After a hard day training and eating your pre-prepared meals, reach for Sheer Sleep to ensure a great night’s rest and recovery. This great supplement actually contains melatonin, this hormone occurs naturally in your body to promote quality sleep patterns, but sometimes busy schedules interfere with your natural melatonin production, so Sheer Sleep ensures proper rest. The post A Guide to Meal Prep appeared first on .